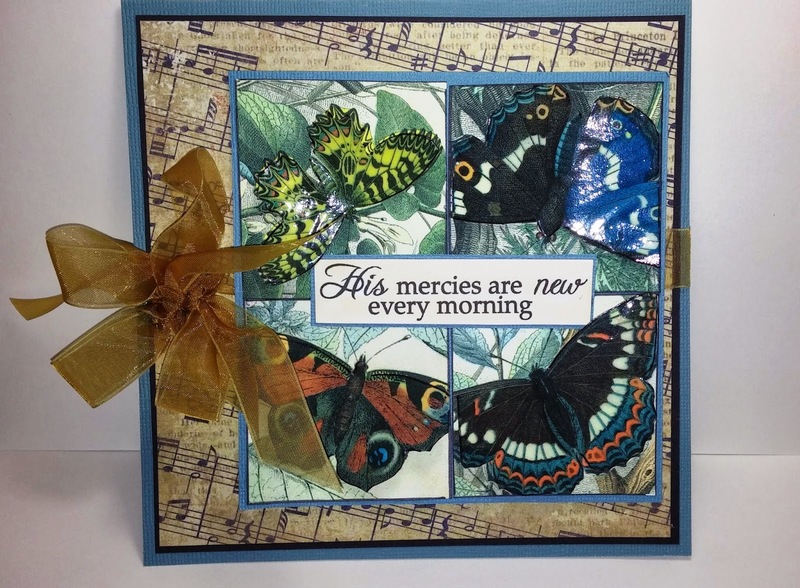 I promised a quick tutorial on my glassy Butterflies and I am posting it today. This Techniques is really so easy to so and the results are wonderful! You will probably already have all the supplies in your stash! 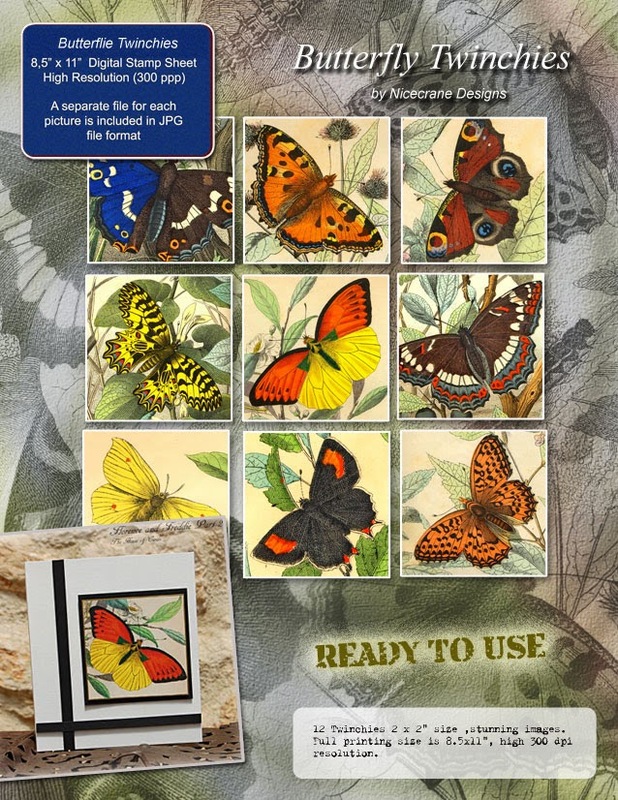 I choose butterflies for this tutorial, but you can use anything you loke for a 3D focal image. Wether you use digitals or hand stamps, you will need two sets. I use my finger, nothing fancy - just try to get a fairly even coat. I purchase my Modge Podge on Amazon, for 29.99 a GALLON free shipping! 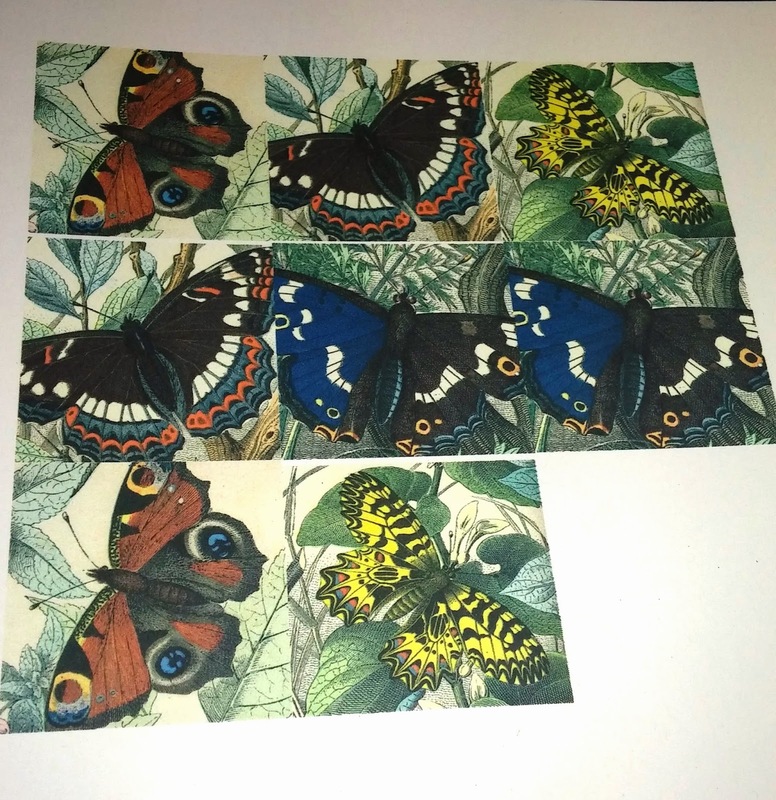 Here you can see the butterflies before I fussy cut them. The next step requires fussy cutting the focal images. 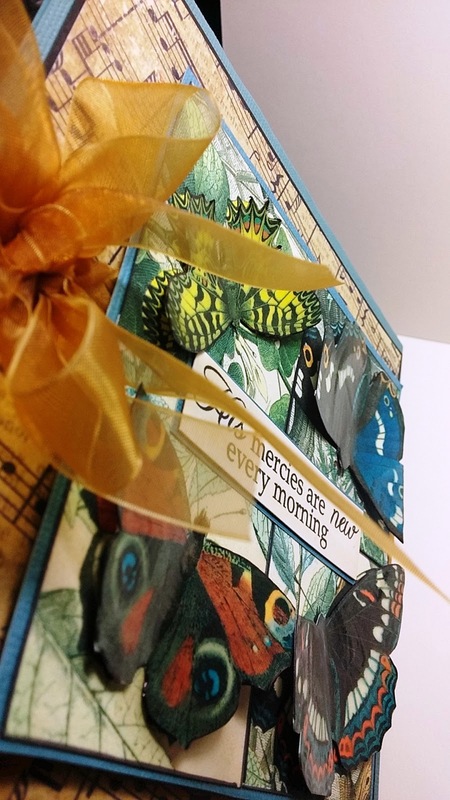 The Modge Podge give the paper a vinyl feel and makes it very easy to cut. After cutting the images I edge them with black marker. Here is the card!! 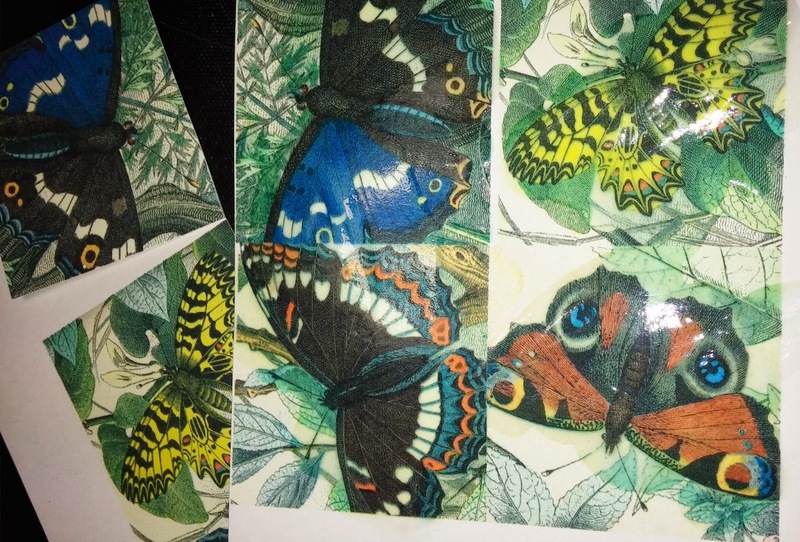 The glossy butterflies are hot glued on to the same image on the card layer. Here is a side view to help you see the 3D effect. This is so easy and works so well! QUESTION: are you printing on a laser or an ink jet? 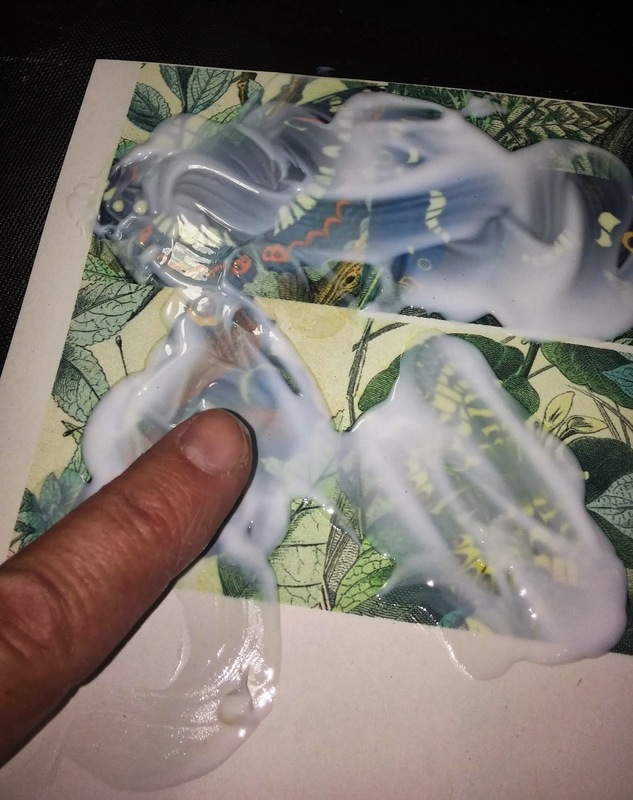 I would think the Modge Podge would make the ink smear if an ink jet printer is used???? Would love to give this a try, but have an ink jet printer. The butterflies are Gorgeous Ginny! How beautiful!!! Love this dimensional idea- and what a fab effect! Wishing you a Beautiful Day!! Today it felt like Spring!! On the Road agian and a freebie!